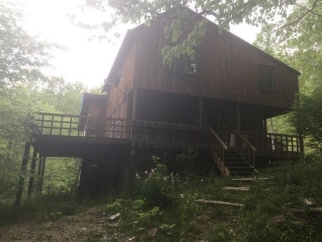 Description: 4 bed, 2 bath home located in stanton, ky. Tucked away off a quiet country road, the home sits on 6 acres of property giving you plenty of privacy. This spacious home includes a large family room, nice stone fireplace, and a large back deck. Property sold in its as-is, where-is condition. Seller does not prorate taxes. Buyer pays all closing costs including, but not limited to any and all transfer taxes, title, legal, and recording fees. Seller has no knowledge of condition. It is the responsibility of the buyer to do all research on specifics pertaining to this property. Data believed correct but not guaranteed. Buyer to verify data prior to offer. Agents read agent remarks.